La Pampa is taking the farm to the street in August with some new locales on Fridays! Saturdays and Sundays, Aug 3 & 4; 10 & 11, we’re grilling at our regular spot: Peifer Orchards in Yellow Springs. Peifer’s homegrown peaches are in season! 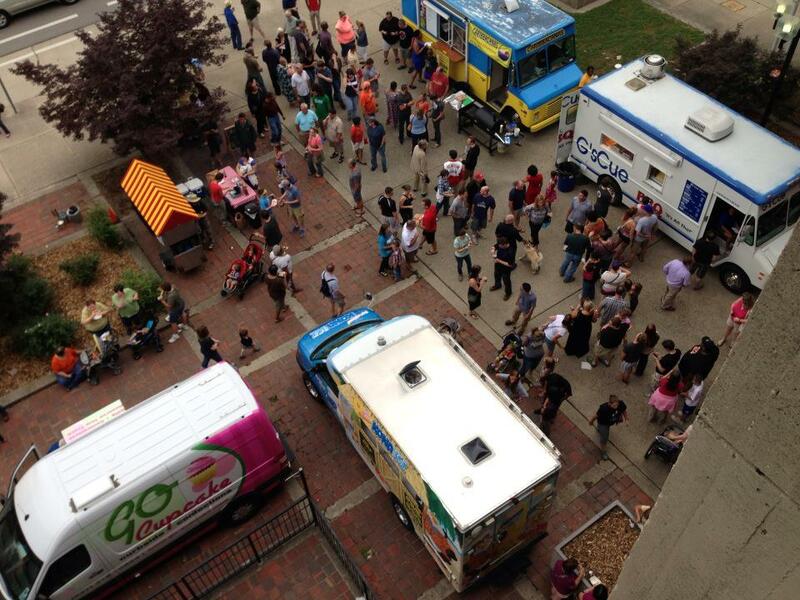 We’re back at Downtown Dayton’s Food Truck Rally for First Fridays on August 2nd! Check out La Pampa and a crew of our local area food trucks, along with street performers, d.j., outdoor seating, and plenty of friends. We’re on the corner of Jefferson and Fifth from 5pm-8pm on Friday, August 2nd. Yellow Springs Brewery is hosting La Pampa Grill on Friday, August 9th from 3pm-9pm! If you haven’t had the chance to visit the town’s new Brewery on Walnut Street, it’s definitely worth stopping by for fresh, local brews on tap paired with La Pampa’s “chori-pan” local sausage sandwich with chimichurri sauce or chicken wings, Argentine style. Contact Us to order whole chickens in advance to take home to your dinner table. Locally raised chickens support our area farms as well as La Pampa’s family business. Whole lamb, or quarter pieces, slow roasted in traditional Argentine style are also available to order for September. Stay tuned for grass-fed beef (asado al asador), also on the way.